How can one talk about death without showing the dead? Or, experience suffering without seeing the wounds? 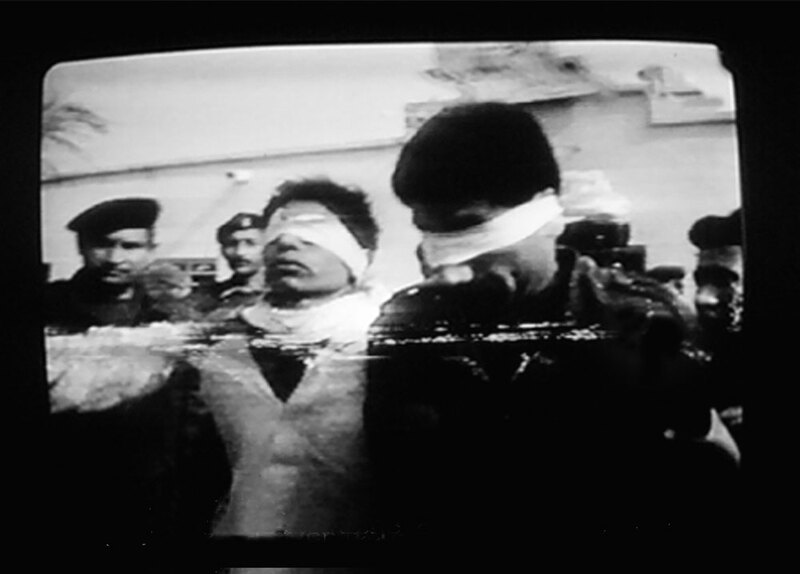 A possible answer is found in ˝Amer & Nasser˝, a video-gram excerpted from a documentary on the 1991 rebellion of Iraqi people, which turned into a bloodbath: the slow pace of the images allows us not really an observation, and investigation, of the two ˝martyrs˝ identity, rather it poses the questions: Why did it all happen, and Where were we? The two blindfolded faces apparently emanate serenity and resignation, but they also hide a terrible anguish. The slow pace of time, This Time, marks the steps of the sentenced ones, and the pushes and shoves of the soldiers, like it had lost its way. The obsessive slowing-down of the movement leads the mind’s way into the maze of the afflicted soul. In front of the camera-spectator, the passage of the brothers led to an army truck, while a somber flute announces the imminent trespass of life into death, looks like one towards the unknown in an unreal atmosphere. The film premiered at Locarno International Film Festival 2003 in Human Rights section.